Superman floats in the presence of Krypton's glory, his home world and its red star, Rao, were not destroyed. Despite feeling the drain of his solar powers from the lack of yellow sunlight, Superman can't resist: for the first time in his life, he can have memories of his planet, and his father. But why did his father, Jor-El, lie to him? Krypton is more beautiful than Superman could have imagined. He has difficulty communicating with his fellow Kryptonians, but eventually they take him to his father - an imprisoned criminal for 'fostering panic' and 'conspiracy to foment social unease.' But none of what Jor-El's AI told Kal-El via the latter's escape rocket was a lie. Jor-El truly believed Krypton was bound to be destroyed. Sadly, Jor-El has endured prison, with his wife, Superman's biological mother, having since died. Superman spends days on Krypton, learning about his thought-to-be lost culture directly from his people. He is honored as well as educated. He discovers that the Kryptonians embrace a loose kind of self-imposed xenophobia, shunning extraterrestrial contact. They are, however, aware of the evils that pervade the universe, and they are equally familiar with the beings who fight against it all. Including Superman. Superman uses this knowledge to try and convince the Kryptonian Council to release his father. 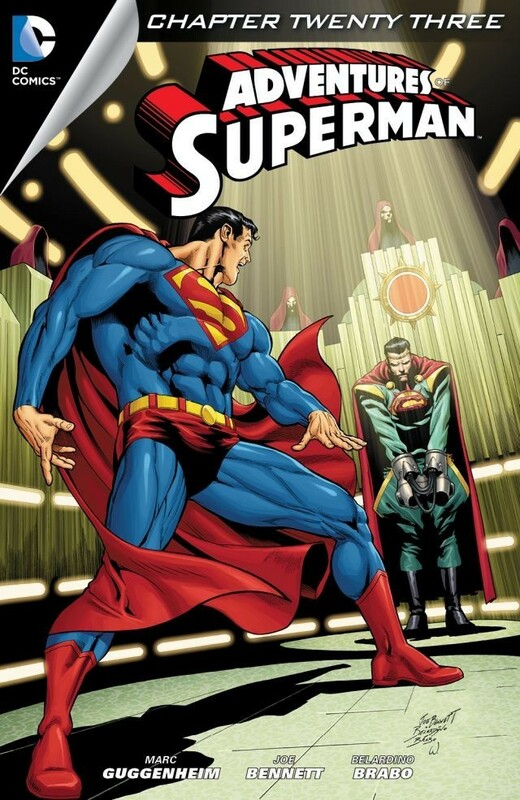 Without Jor-El's actions, he argues, there would not have been a Superman. Moved, the Council accepts Kal-El's arguments and release Jor-El. Spending time with his newly free father, Kal-El comes to one undeniable conclusion: the reason why Kryptonians haven't reached behind their atmosphere to chase their curiosity out unto the stars is simple. They are all dead. Kal-El is the Last Son. And this isn't Krypton. Story - 4: Honestly, there isn't a whole lot of substance to this story yet. This is mostly Superman enjoying what seemed like an impossibility, namely spending time on Krypton and getting to know his father. 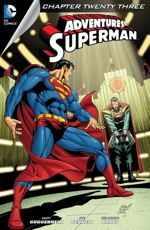 The primary points of the story are two: 1) Superman's methods of convincing the Council to release Jor-El, using the argument of causation to persuade them, and 2) Superman realizing that he isn't truly on Krypton. The second of these I anticipated in the first issue, and mentioned it in my last review. This helps to explain why Superman is able to stay on Krypton for so long without experiencing the absolute drain of the power-inducing yellow solar energy from his cells. The problem I have is Superman didn't know initially that this wasn't actually Krypton, yet he still remained there for several days. I suppose it's convenient to assume that Superman knows exactly just how much solar energy he needs to travel back to Earth. Otherwise, we have to chide him a little for being a tad irresponsible. What if he couldn't get back to Earth (letting go for this review the silliness of Superman actually able to travel that distance through space under his own power)? But he's elated, of course, to have discovered that Krypton is in fact still in existence. So, let's give Big Blue a break on this one. Ultimately, I hope this is explained in some capacity, that Superman knew early on that this wasn't Krypton or that he actually does have the ability to measure the amount of solar energy he has stored and how much of it is required for certain tasks. On top of that, there's a lot left to be explained, and like I said in the previous review, I want a huge pay off. Certainly some villain is involved, but what was the purpose of fooling Superman and Emil Hamilton? I'm predicting Mxy is at the helm of this rue, and if so, depending on how well Guggenheim concludes this tale, I may retroactively up parts 1 and 2 to scores of 5. Art - 5: See my last review. I love this art team.